Take the Green Valley Road EXIT. 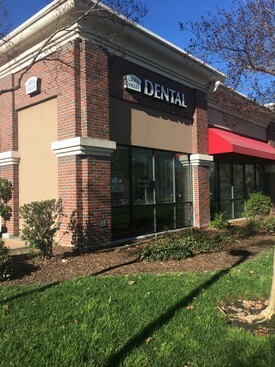 At the first stop take a LEFT onto Green Valley Road and drive NORTH (over the freeway) to Business Center Drive intersection. Turn LEFT onto Business Center Drive. 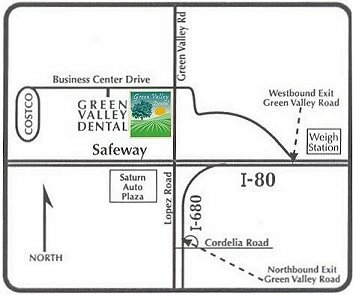 Then use the first entrance on your LEFT for Green Valley Crossing (Safeway) Shopping Center.